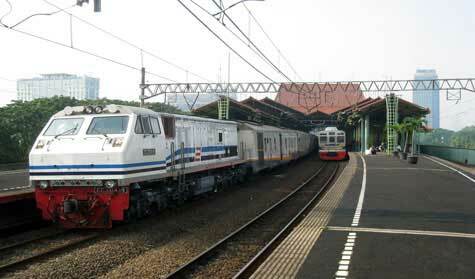 Gambir Station is a sub district of Central Jakarta, Jakarta, Indonesia. It is characterized by many historic buildings from the colonial era. Gambir Sub district is the location of many political and administrative center of Jakarta and Indonesia. The Merdeka Palace (the presidential palace of Indonesia), the National Museum and the Merdeka Square (the location of the National Monument) are located in Gambir.